$0.99 Arm & Hammer Deodorant at Walgreens! 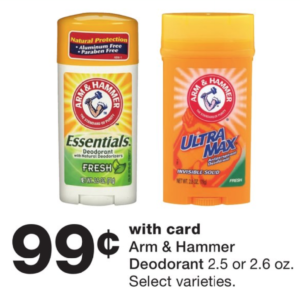 This week at Walgreens, Arm & Hammer Deodorant is on sale for $0.99! No coupon needed.